In this episode, Robert and I talk about the excitement that’s building for next week’s Content Marketing World conference, speculate about why Google completely killed its Authorship initiative, and praise the changes made at The Washington Post since its purchase by Amazon CEO Jeff Bezos a year ago. Rants and raves include an iPhone app that may represent a powerful new ecommerce model, upscale moves in NYC by Denny’s, and the greatly exaggerated “death” of journalism, and then we wrap things up with this week’s #This Old Marketing example: MarketMinder.com. Why 2,500 People Are Saying, “Hello, Cleveland!” (2:39): According to this article on Cleveland.com, over 2,500 content marketing practitioners from over 50 countries will converge in Cleveland next week for Content Marketing World. The 4th annual CMI event has quadrupled in size in only three years. Attendees will include 36 of the Fortune 100. Robert and I share our excitement for what promises to be an amazing conference. RIP Google Authorship (7:05): Search Engine Land reports that Google’s three-year Authorship experiment has come to an end. Google will stop showing authorship results in Google Search, and will no longer be tracking data from content using rel=author markup. According to this in-depth analysis, blogger implementation of Authorship code was spotty and often contained errors. A big factor from Google’s point of view: It didn’t appear to have an impact on search behavior. 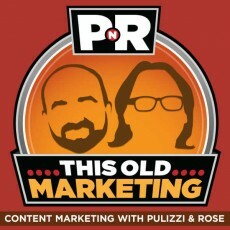 Robert and I discuss the lessons content marketers can learn from Google’s decision. How the Washington Post Has Changed Under Jeff Bezos (17:00): Digiday reports that The Washington Post is starting to show new signs of life one year after the Amazon CEO and Founder bought the highly regarded newspaper. Now flush with resources, the paper has begun hiring again and has introduced a number of new initiatives. Robert and I praise the Post‘s multifaceted commitment to innovation, and speculate on how it will monetize its growing audience. What’s a Brand Worth? (25:21): There’s no question that brands have tremendous value – but just how much are we talking about? That question sets the stage for this thoughtful Economist article. Some experts consider them to be worth as much as 30 percent of a company’s stock market value, while others believe they are fading in importance as consumer loyalty declines. Robert expresses his excitement about the emergence of “content brands” like Kraft and Red Bull, where content is starting to become a profit center, while I explore the relationship among content, trust, and brand value. This week,This Old Marketing is sponsored by Smartling. A multilingual website is your gateway to the global marketplace. But being truly multilingual isn’t just about translated content. It’s also about providing visitors with an authentic and transparent user experience. 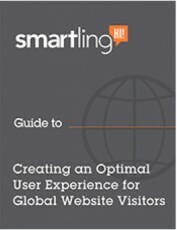 Smartling has published a white paper entitled Creating an Optimal User Experience for Global Website Visitors that contains best practices for companies that are building a global brand across multiple languages. You can download it at http://bitly.com/pnr-global. Robert’s Rave: Reality TV star Kim Kardashian has launched an iPhone app that enables players to experience the A-List lifestyle. The app is free but features numerous in-app purchases of designer clothes, trendsetting haircuts, fashion accessories, and travel excursions. This article from International Business Times estimates Kardashian will earn $200 million from this game. Robert explains why he believes this game represents a powerful new ecommerce model. Joe’s Rave: Paddling against the tide of negative articles lamenting the death of journalism, this fascinating column by Mathew Ingram on GigaOM points out that newspapers have engaged in the print equivalent of click-bait for many years. Over a century ago, newspapers were filled with sensational headlines, innuendos, and rumors. Robert and I talk about how this is a time of great innovation in media — not just for print and online, but for television, too. 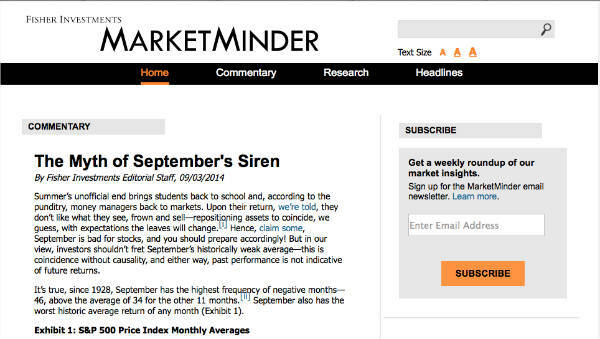 MarketMinder: Fisher Investments launched the MarketMinder website and a companion eNewsletter to provide individual investors with free investment commentary and advice. It’s part of a content ecosystem that includes Ken Fisher’s investment books and his columns on Forbes.com. It’s a great way to nurture prospective customers until they’re ready to invest. A good friend of mine followed this path, signing up for the newsletter and learning from the website’s informative, helpful content. Eventually, he moved his investments to Fisher, based in large part on the value he received from MarketMinder.com.